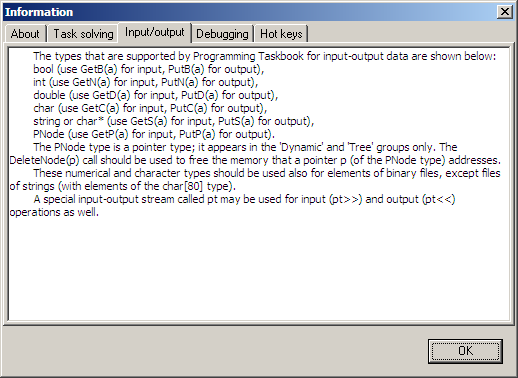 To get an overview how to use Programming Taskbook in C++ you should click the "?" 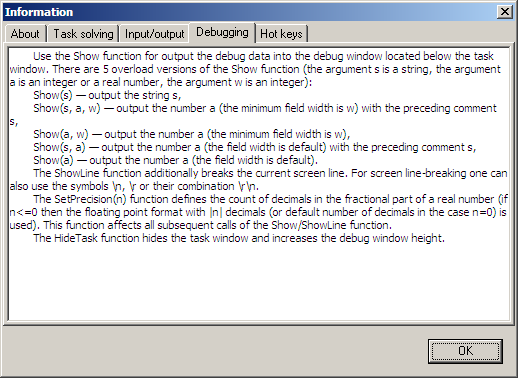 button or press [F1] key in the Programming Taskbook window. 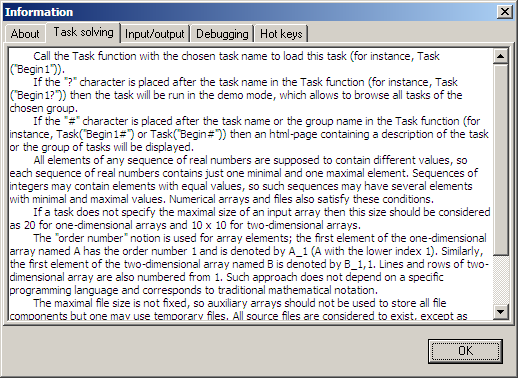 The Programming Taskbook window will appear if you start the application in demo mode using PT4Demo tool or create and run a task template using PT4Load tool. The content of the information window depends on a chosen programming language. 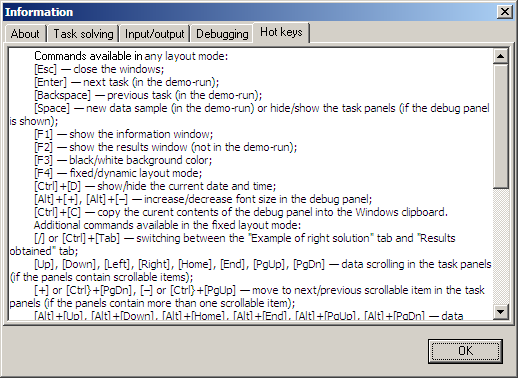 Here is the screenshot of the information window for C++.